Whether Ben Carson fudged a bit on that offer of a "full scholarship" to West Point or it&apos;s a question of "semantics," as he told reporters on Nov. 6, it wouldn&apos;t be the first time a politician misrepresented their military experience. The West Point story is a central one to Carson&apos;s narrative. He has said for years he was offered a "full scholarship" to the military academy — but admitted last week he was encouraged to apply, but hadn&apos;t received an official invitation nor did he apply. He told CBS he wasn&apos;t being deceitful. "I think it&apos;s a matter of semantics," he said. 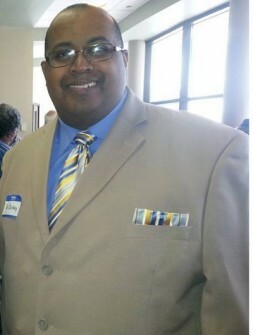 Throughout his 2014 campaign to serve in Mississippi’s 1st District — he was ultimately defeated by the late Rep. Alan Nunnelee last fall — Army veteran Ron Dickey was plagued by questions about his self-described participation in elite Special Forces units. Claims of being a “Green Beret veteran” drew challenges from defenders of the military. Dickey wound up conceding that he did not complete Green Beret training. 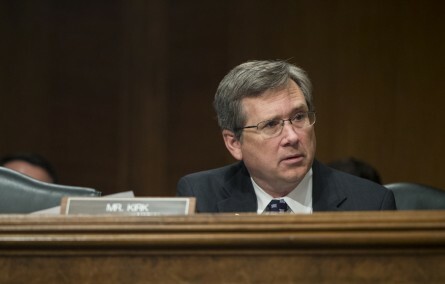 Sen. Mark S. Kirk, R-Ill.
Kirk was called out during his 2010 campaign for inflating his military exploits. The Navy reservist swore that stories he’d shared about death-defying reconnaissance missions and calling the shots in the Pentagon war room were merely misstatements. "In public discourse, for high office, you should make sure that there is a degree of complete rigorous precision,” he told the Chicago Tribune at the time. Serving in the Vietnam War and serving during the Vietnam War are two very different things. 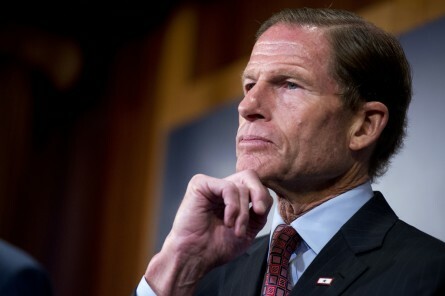 Blumenthal blurred the lines between the two when addressing veterans’ groups — until the media pointed out that his rhetoric did not line up with reality. Former Rep. Wes Cooley, R-Ore. The one-term lawmaker was indicted for lying to voters about his military service in an official campaign flier — Cooley claimed to have served in the Army Special Forces in Korea. While he was accused of lying to constituents, his wife was investigated for illegally collecting decades’ worth of widow’s benefits from her first husband&apos;s death. 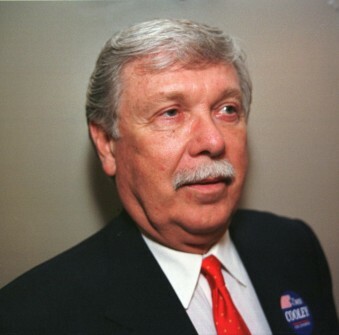 Former Rep. Bruce F. Caputo, R-N.Y. If you’re gonna be a fibber, be all that you can be. That&apos;s what New York Republican Bruce F. Caputo must have been thinking when he decided to not only conjure a totally illusory military background, but also made himself a second lieutenant to boot. Related: Internet Confused About John Walsh, The College Years Roll Call Race Ratings Map: Ratings for Every House and Senate Race in 2016 Get breaking news alerts and more from Roll Call in your inbox or on your iPhone.